CEO. 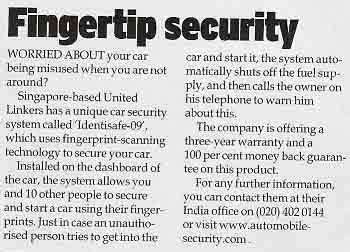 Swapnil Kale - Dec 2004 - Identisafe-09 - Biometric Car Security Invention. TV Interview of CEO. 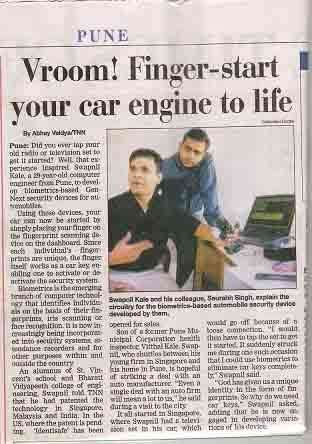 Swapnil Kale - Aug 2012 - Biometric Payment Gateway Invention. Identisafe Ltd, registered in United Kingdom with companies house as Global Headquarters in London. Lufthansa - Runway to Success Programe by ET Now TV News channel with interview of CEO (Swapnil Kale) has been uploaded on the site. New Patent filing for updated technology with United Kingdom Patent office. Lufthansa -Pioneering Spirit Programe by ET Now TV News channel with interview of CEO (Swapnil Kale) has been uploaded on the site. United Linkers now Identisafe Ltd, opens office in Silicon Valley, California at Plug and Play Tech Center, Sunnyvale ,USA. Brain Fingerprinting/Individual Unique Brain waves to start car. 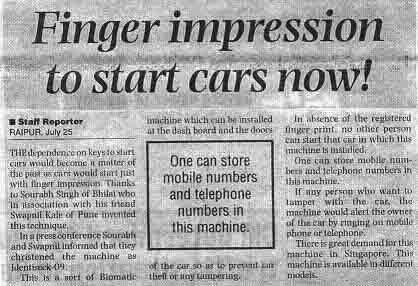 Revolutionary product shall be launched on 15th Dec 2005. Launched New Product Retinasafe-18. Iris & Retina (EYE-BALL) Recognition for car security. 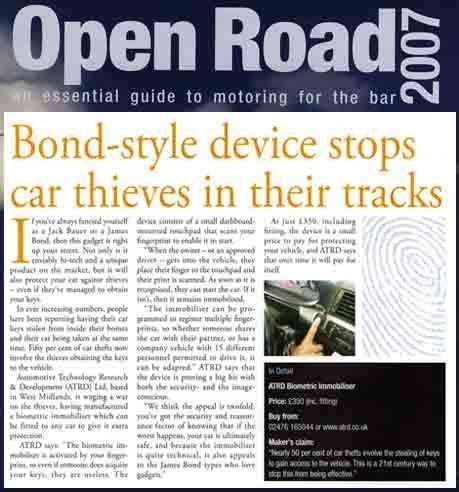 ARAI (Automotive Research Association) has appreciated Identisafe-09 as most secure and reliable product for car safety. STAR TV coverage,SAHARA TV coverstory,AAJ-TAK TV interview & HEADLINES TODAY-TV interview of CEO (Swapnil Kale) have been uploaded on the site. We have successfully implemented and tested our product in Singapore and our successfully selling it in USA,UK & Australia. Our product is compatible with all car models worldwide. Identisafe-09 is now a certified OEM product for luxury car company in Germany.